The Primary objective of the SAST is to develop youth and junior surfing in South Africa. This objective will focus on the presentation of a robust, dynamic domestic surf tour primarily for girls and boys in the U12 to U16 Divisions. The SAST may include speciality events. Surfing South Africa will continue to use the SAST to develop a competitive attitude among young South African surfers and will use the mechanics of the SAST to prepare these surfers for competition in World Surf League events. Every SAST contest will be a replica of WSL events, from the ratings points awarded to the creation of a dynamic rankings list which will be updated after each contest. All SAST tournaments will include the winning of prize money OR prizes. In order to determine the annual SAST Champions in each division points will be allocated based on the rating of each event. SAST events will be rated from 1A upwards. The higher the rating the more points awarded. Not all the contests will be used to determine the year end ratings as it is not always possible for surfers to compete in every event. At the end of each year approximately 70% of the contests held will be used to determine the final adjusted ratings. In divisions where there have been five contests or less all the ratings points earned will count. The top surfers in each Division after the ratings have been adjusted at the end of each year will be named the South African Surf Tour Champions in their respective divisions. More information regarding ratings points and prize money allocations per division can be found in the 2019 SA Surf Tour Operations Manual. 2018 SAST ANNUAL AFFILIATION FEE & ONCE OFF SAST FEE. Competitors who wish to surf in more than one SAST event MUST pay the annual fee of R550 to Surfing South Africa. This annual fee allows surfers to compete in any division and discipline. The annual fee should be paid by going to www.surfingsouthafrica.co.za clicking on the SAST button and following the payment prompts. 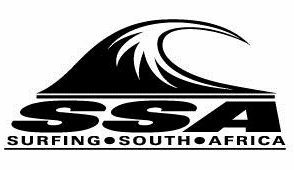 Competitors who wish to surf in only ONE SAST event in 2019 may choose to pay a ONCE OFF SAST affiliation fee of R250. This once off fee allows them to surf in only one division and a single discipline. The fee should be paid by going to www.surfingsouthafrica.co.za clicking the SAST button and following the payment prompts. Competitors are required to pay the annual or once off SAST affiliation fee PLUS the advertised Contest Entry Fee (by Division) in order to surf in an SAST event. If either fee is unpaid, surfers will not be included in the heats. Affiliation to the SAST is in South African Rands. SAST events are held at different venues around South Africa each year. The SAST caters primarily for girls and boys in the U12 to U16 age groups but may include other divisions and disciplines if these are not catered for by the WSL. SAST members who have paid the annual SAST fee of R550 may enter and compete in any division or discipline at an SAST sanctioned event. Competitors who pay the once off R250 SAST may only surf in one event, in one division and one discipline. Competitors who have paid the once off SAST fee and who then decide to surf in more SAST contests will be required to pay a further R400 UPGRADE fee in order to become a FULL SAST member. Every surfer who competes in a recognized SAST event earns ratings points and will win prize money or advertised prizes if they reach the Finals of all SAST events and the Semis of 4A rated and over SAST contests. The SAST ratings may be used as a guideline when National Squads are selected by Surfing South Africa. SAST Champions will be recognized by Surfing South Africa at the conclusion of the annual contest year. Competitors wishing to surf in the WSL Pro Junior Boy’s & Girl’s, Open Men’s & Women’s and Men’s & Women’s Longboard Divisions must affiliate to the WSL independently of SSA. Go to www.worldsurfleague.com or contact Teri on 021 5345738 for information on the WSL affiliation and entry process.